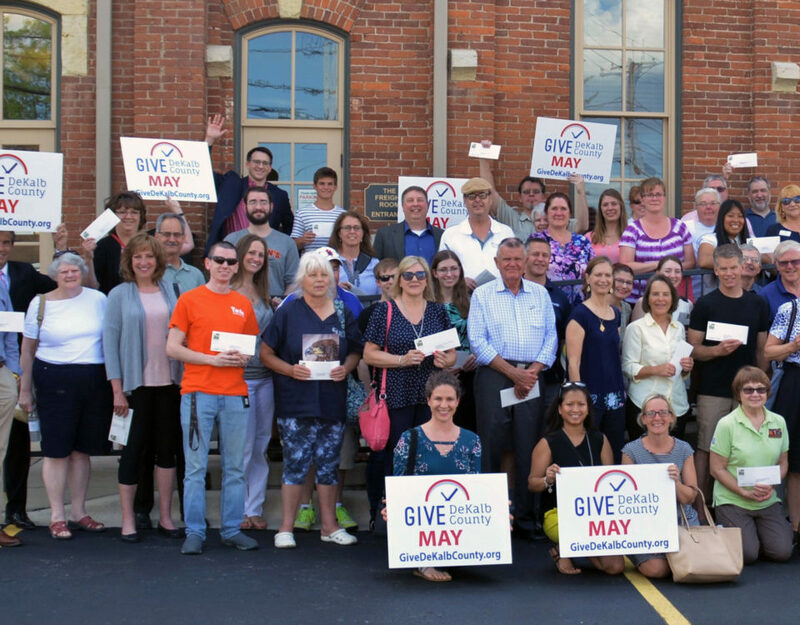 Three workshops will be offered for staff and board members of local nonprofit organizations this fall in Sandwich. 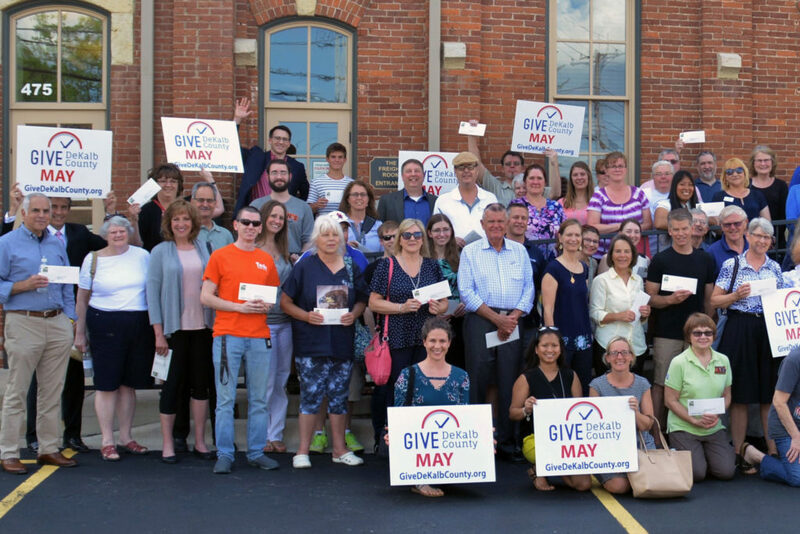 The series is being led by the DeKalb County Nonprofit Partnership in collaboration with the Sandwich Area Chamber of Commerce, the Sandwich Public Library District, and Fox Valley Older Adult Services. The trainings are open to anyone affiliated with a nonprofit organization and are being offered free of charge. 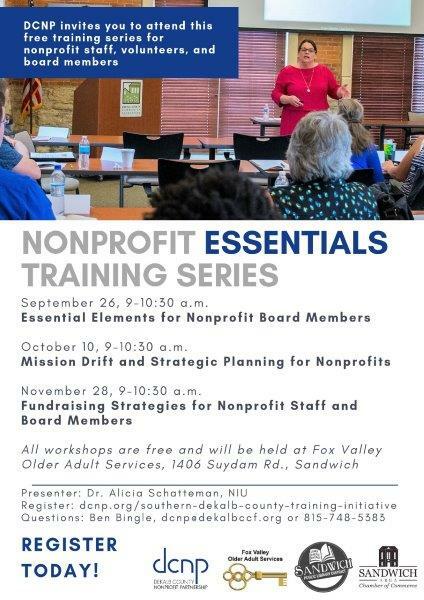 Each workshop will be hosted at Fox Valley Older Adult Services, 1406 Suydam Road in Sandwich. 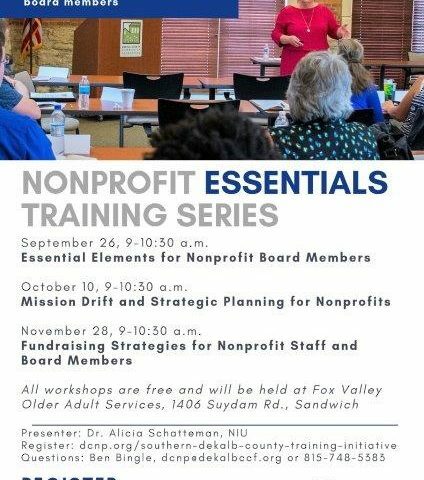 The series kicks off on September 26 with a training outlining the roles, responsibilities, and duties of nonprofit board members. On October 10, the topic will focus on strategic planning for nonprofits and how organizations can effectively remain true to their mission. 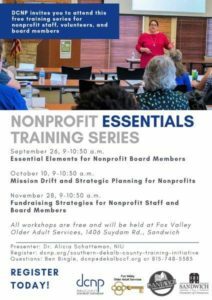 The final workshop takes place on November 28 and it concentrates on fundraising strategies for nonprofit staff and board members. 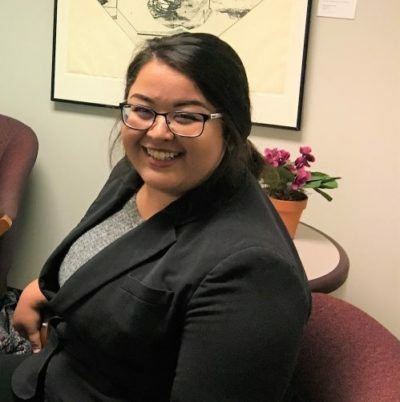 Each training takes place from 9-10:30 a.m. and will be presented by Dr. Alicia Schatteman, associate professor at Northern Illinois University’s Department of Public Administration and Center for Nonprofit and NGO Studies. 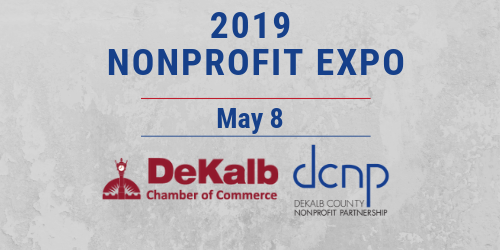 Questions can be directed to Ben Bingle, DCNP Director, at ben@dekalbccf.org or 815-748-5383.